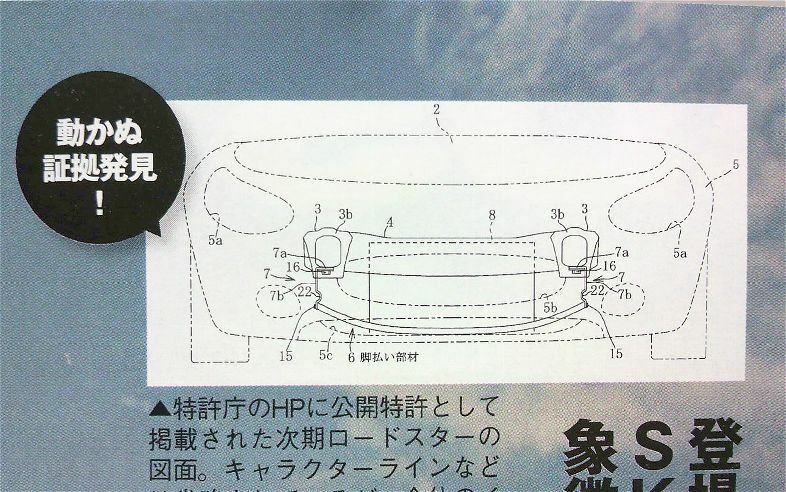 With information on the next MX-5/Miata slowly leaking out onto the 'Net, a Japanese media outlet leaked the first patent drawing – from the Tokyo Patent Office - of the forthcoming sports car. 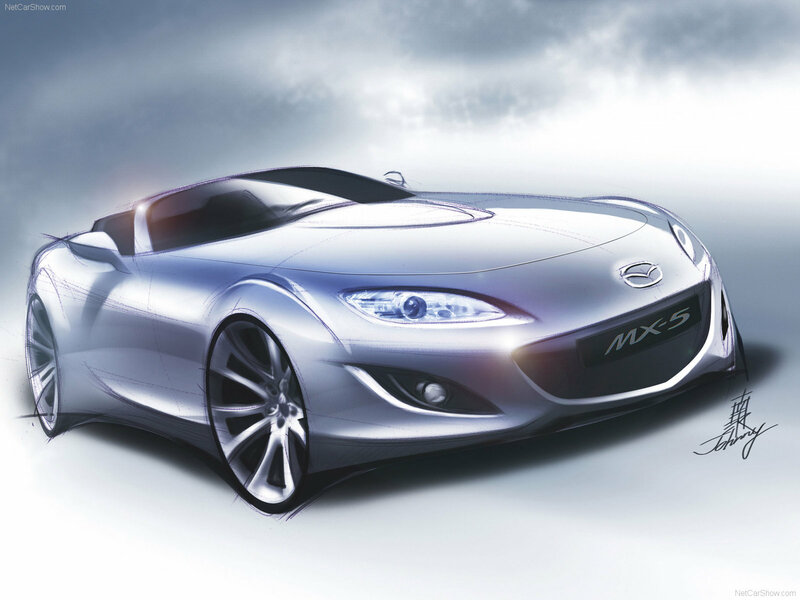 The basic shape and proportions of the newcomer will be akin to the original 1989 MX-5/Miata with upswept teardrop headlights. Since the new MX-5/Miata will be lighter, power will come from a 1.5 litre SkyActiv-G engine, churning out 125bhp (123PS/93kW) and when mated to a 6-speed manual gearbox, expect fuel economy of 60mpg (4.7l/100km/50mpg U.S). 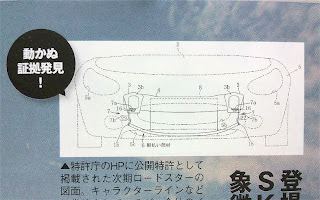 Chief engineer, Takao Kijima, said the current MX-5/Miata wasn't intended to carry a 2.0 litre mill, but international pressure forced Mazda to rethink that decision.